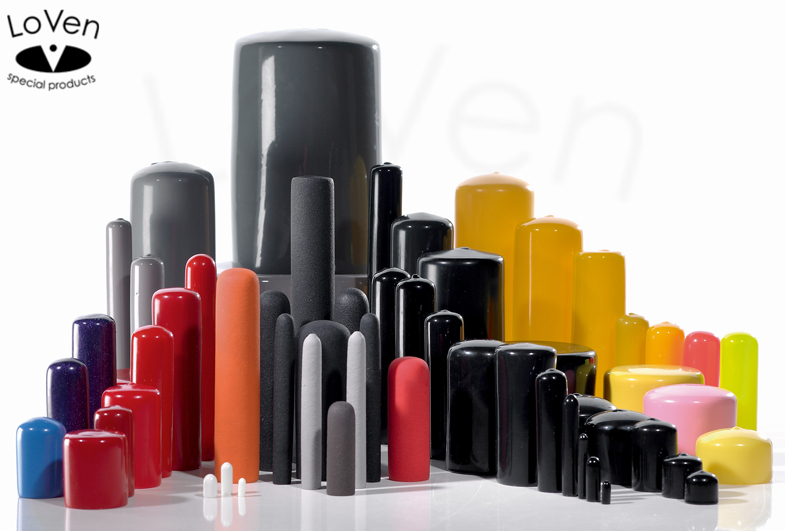 As the largest manufacturer of vinyl caps in Europe, LoVen has an extensive line of vinyl caps, vinyl plugs, vinyl covers and other vinyl masking products available. Vinyl is very flexible and therefore it provides a much better seal than hard plastic closures. Vinyl will not crack or shred like hard closures. We produce custom-built vinyl caps and also have a wide range of standard caps. Vinyl caps are very easy to install and the airtight seal keeps them in place. For threaded applications, they will not shred and leave residue in the parts that they are protecting from contamination. Because Vinyl is a insulative material, vinyl caps are the most ideal choice for closures in electrical applications. The caps withstands high temperatures, and are and excellent alternative to more expensive rubber caps.